As the number of people with diabetes continues its astonishing rise – from 26 to nearly 30 million and in pre diabetes from 79 to 86 million – the number of endocrinologists who specialize in their treatment remains flat. There are roughly only 5,000 endocrinologists and 19,000 diabetes educators across the country today. How are we going to take care of the millions more people with diabetes adding to the statistics every year? Few primary care providers refer patients to a diabetes educator and most patients with Type 2 diabetes are treated by their family doctor. Unfortunately, many are not up on the latest research, medical guidelines and/or drugs – and don’t want to spend the time titrating new patients on insulin. Looking at how patients are inserting themselves into the health landscape, we should be encouraged by our influence to continue and congratulate ourselves. We are making a crucial difference to thousands, maybe millions, of others living with diabetes. Since the first social media sites began popping up to widely share knowledge, advice, experience and wisdom, offerings have grown more sophisticated catering to specialized audiences — Type 2s, Type 1s, parents of children with diabetes, women, athletes. Further, take a look at this year’s Top 10 recognized social health makers in diabetes. My first inkling that patients held sway was five years ago when Roche invited 30 top diabetes bloggers to their headquarters to better understand how to talk to their customer base online. Several other pharmas, including Medtronic and Eli Lilly, quickly followed suit. More recently, patients have taken the stage at major diabetes conferences – the International Diabetes Federation World Congress, American Diabetes Association, American Association of Diabetes Educators and Children with Diabetes’ Friends for Life – sharing personal wisdom, device knowledge, social media information, and their distinct expertise. 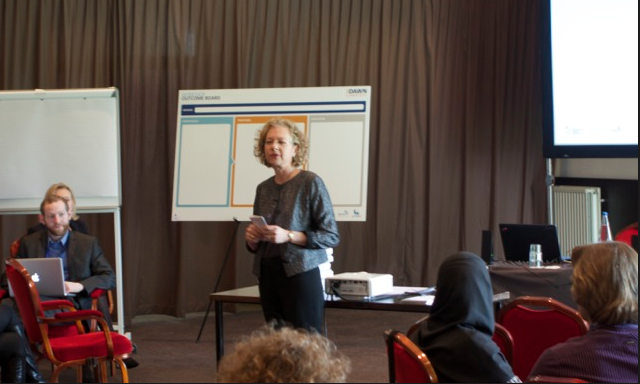 I conduct workshops with health care providers to help them extend their repertoire from working with people with diabetes from a “coping approach” to a “flourishing approach”. Kelly Close, editor in chief of diaTribe, who has type 1 diabetes, said one of the most notable developments at the recent 74th American Diabetes Association Scientific conference, where more than 17,000 top diabetes medical professionals, scientists, researchers and trade people gathered, was the room given to the patient voice. Amy Tenderich, founder of the top patient news-reporting blog, DiabetesMine, has been running an annual Innovation Summit at Stanford University School of Medicine for four years. Patient advocates, device designers, researchers, clinicians, pharma R&D leaders, mobile health experts and regulatory experts gather to develop new ideas, products and tools to improve life with diabetes. Two years ago big pharma, Sanofi, launched a similar initiative. Patients are nimble and quick where corporations and institutions often are not. A few months ago Tenderich launched “TestKitchen,” video reviews of diabetes products by and for people with diabetes. Diabetes blogger, Kim Vlasnik, launched her inspirational video, “You Can Do This”project three years ago from a personal passion to validate and share “honest talk” among people with diabetes and their loved ones. It’s popularity is the benefactor of the “I get it” factor. The Diabetes Online Community this past Valentine’s Day asked people to buy their ‘Valentine’ 11 roses instead of 12 and contribute the change left over to Life for a Child, the humanitarian organization that provides clinical care and insulin to children in developing nations. The campaign brought donations from 24 countries and raised more than US $27,000 dollars. That’s an additional year of life for 454 children. Bennet Dunlap, who has two children with type 1 diabetes, created StripSafely. It’s hard-charging message – to tell the FDA that people with diabetes want glucose test strips checked for accuracy both before, and after, they enter the marketplace – was driven across the diabetes space by advocates. Last March, Bennet hosted a Q&A webinar with the FDA whose public docket on meter accuracy received record levels of comments from the diabetes community. The FDA is now creating a post-market surveillance-testing program. This is a mere slice of what patients are doing – and only in diabetes. AtPatientsLikeMe patients are tracking and sharing their health information, according to the Company on more than 2,000 conditions – from medical diagnosis to treatment plans and outcomes. In addition to patient-sharing, data from this rich repository of real-world experiences is being shared with pharmaceutical companies to improve and quicken drug development and treatments. When I wrote my second book in 2009, 50 Diabetes Myths That Can Ruin Your Life, my book agent said we’d never sell it without a doctor’s name on the cover. She was wrong, only my name is on the cover, but five medical experts who vetted the work are prominently listed inside. Now, every month, books written strictly by patients appear in my mailbox. Medscape’s article, “Peer Coaching Improves Glucose Control in Diabetes,” confirms both the value of peer-coaches to help create clinical improvements in patients and their ability to fill the gaps where primary-care providers are in shortage, particularly in low-income and rural areas. Since 2007 I have been a peer-mentor in the Sanofi A1C Champion program. Having grown from three peer-mentors in 2003, today 87 of us contribute and criss-cross the U.S. on any given day delivering five different educational programs. Part of the magic peer-to-peer programs offer is what’s often missing in healthcare, empathy. Sanofi has already developed with VPR peer-mentor programs in two additional disease states – Gaucher and Multiple Myeloma. HealthDay just reported that one in ten visits to the doctor involves diabetes. The epidemic is growing. While patients should never, and will never, replace health professionals, we can offer something medical practitioners cannot. Not bound by the restrictions of a mammoth health care system that providers and insurers labor under, we can be fleet of foot, more innovative and across the internet reach thousands like ourselves. One day millions. The influence of patients also benefits practitioners. By reading diabetes social media sites and books written by people with diabetes, practitioners can learn what patients think, feel, need and are concerned about, and – in our time-starved medical system – share these resources with their patients. 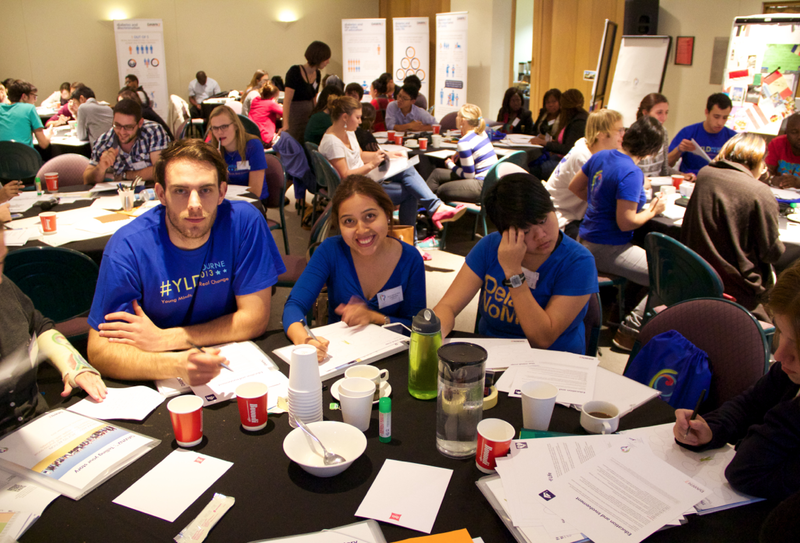 International Diabetes Federation’s ‘Young Leaders in Diabetes’ conference, Melbourne 2013. 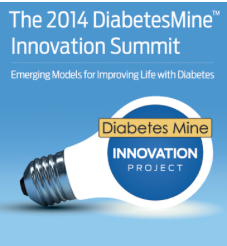 124 diabetes patient leaders from more than 60 countries. I believe what Sexton foresees – patients will be inserted into more programs and places including educating medical students, those at healthcare corporations and anyone with a vested interested in health. We should be looking now at creating ever more opportunities where people with chronic illness can serve as educators and inspirers. We should be more fully leveraging this powerful and critical “smart patient” movement to educate, cut costs, amplify resources and offer the sole province of patients – shared empathetic understanding. For in the end, no one “gets it” like the one who has it. For a list of more diabetes social media sites, blogs, books and more on the A1C champion program click here.